Important Notice! – This DIY mod instructional guide was created and intended to give the 2007-2013 HD truck owner the option to properly clear a specific wheel & tire combination – just as a 2001-2007 Classic body would after installing a lift kit. In many cases, NorCalTruck.com will ship out suspension packages where the wheel & tire combination has already been determined and decided on. In such cases, after this has been discussed with our client, we have suggested this mod be done. This is the reason we made this step by step DIY guide for our customers, to prepare for the proper install. When using this DIY mod to accommodate for a larger tire and wheel combination, larger than what the manufacturer of the suspension product recommends or states is acceptable, NorCalTruck.com is not responsible for any increased wear and/or reduced ride quality. 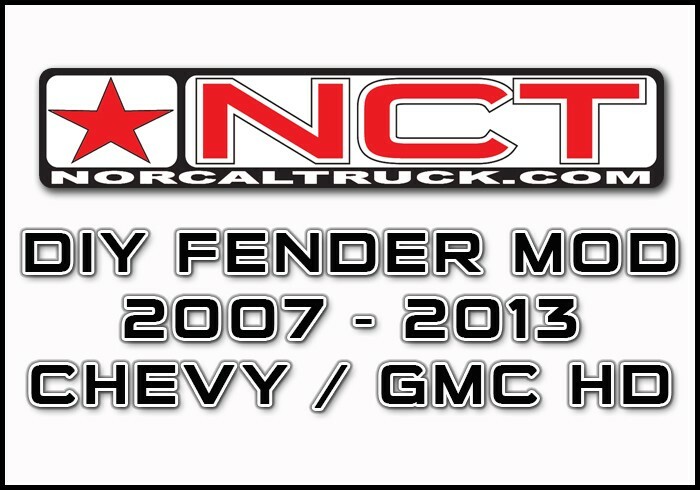 NorCalTruck.com will only offer Customer Service and honor the warranty for product purchased through NorCalTruck.com. I am making this IMPORTANT NOTICE due to the increase of members of the forums we support suggesting to combine a Cognito 2-3" leveling package + Nor-Cal Nick Fender mod to = Fitting Certain 35x12.50 Tire and wheel packages.This Mod is NOT endorsed by Cognito Motorsports Using a larger tire/wheel package than recommended by the manufacture may void the product warranty. NorCalTruck.com can only recommend the max tire/wheel package that Cognito will cover under warranty. Even though many have fit much larger than recommended with this mod, we can only suggest what the manufactrue provides. Simple enough, please remember that just because you can make a certain tire and or wheel "FIT", it doesn’t mean it’s right. You must properly combine the suspension components to the larger tire and wheel combo to avoid issues. This DIY mod should NOT be used as a cheap fix to avoid having to purchase the components to properly set the suspension up within the correct ride height and not overwork the suspension and/or steering. We have many years of experience with these Chevy HD trucks, and see when and where the problems arise. I have personally read many emails, pm's, and have taken many calls from truck owners frustrated, chasing ride quality, and experiencing issues with excessive wear. 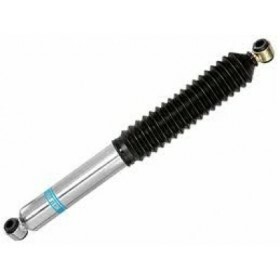 These issues can be avoided by combining the correct products, and staying away from a tire and wheel combo too large for the suspension height. If you have a 2007 - 2018 Chevy/GM HD you will find it very hard to fit a good looking tire and wheel under the front fenders without rubbing the tire at full lock to lock on the cab side of the fender. Please follow these steps to adding clearance to the fender on the inside lip, no cutting on the fender where you would have to see anything in the end. After trying this on a few trucks we found that it really makes a big deference and is super clean finish. Job takes about 2-3 hours for the first time, after 1 or 2 it goes alot faster but do not rush the job as it will pay off to be cleaner finish job when taking your time. If you have any questions please post them. Hope this will help others.